I just want to preface this review by saying this film was one of my most anticipated films of 2013. That said, it did not disappoint! I watched the 3D version of ‘Oz the Great and Powerful’ and I’m glad I ponied up the extra cash to do so! Not all movies that can be made in 3D, should be made 3D, but this movie was perfect for it! 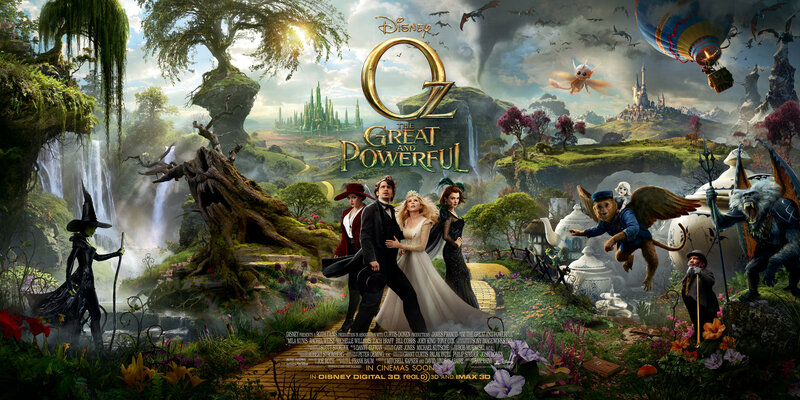 ‘Oz the Great and Powerful’ is a prequel to the adored 1939 film, ‘Wizard of Oz’. This is the story about how the Great and Powerful Wizard became so Great and Powerful in the first place. The opening credits alone were just about worth the price of admission for this one! I’m not sure if it has anything to do with the black and white opening of the movie, or if it was just the execution of the 3D rendering, but everything was so crisp and, well, three dimensional. The phenomenal opening credits roll right into the beginning of the movie. Oscar Diggs (Oz), played by James Franco, is a small time magician working at a local carnival hoping to make it big someday. 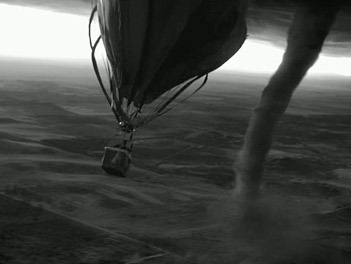 A bit of a scuffle ensues and Oz escapes the area via hot air balloon, only to be sucked into a tornado. If you’ve watched the classic ‘Wizard of Oz’, this scene will feel a bit familiar to you. It’s even done in black and white, much like the original movie which I thought was a nice touch. While in the hot air balloon, there is a point where Oz begins pleading for his life as objects are thrown about and things are penetrating the basket. Who might Oz be pleading with? It sure sounded to me like he was begging God to have mercy on him at this point. Oz even promises that if he is saved, he’ll do great things, in an attempt to barter with this almighty being that he believes can save him. Fast forward a little bit and Oz is in this heavenly looking land. Everything is so bright and vividly colored. The balloon Oz was traveling in landed in a small patch of water and as Oz is freaking out, claiming to not know how to swim, he realizes that the water isn’t very deep at all and he can stand up and walk out of the water. As Oz begins walking to the shoreline, a beautiful woman emerges from the brush. It is none other than Mila Kunis, playing the part of Theodora. Oz asks Theodora if she is an angel and if he is in heaven, to which she shakes her head no. Theodora then explains to Oz that he is the one the King had prophesied about. He was to become the new King and help the people of Oz defeat the evil wicked witch and set free the people of Oz. 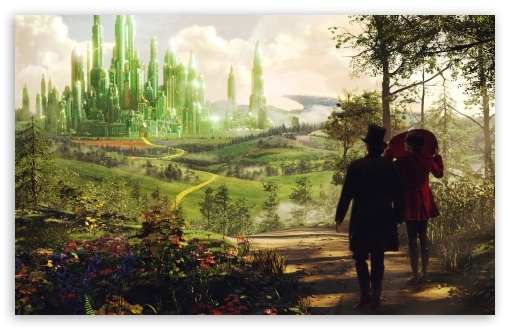 The two of them then begin walking down the familiar yellow brick road toward the emerald city. A street of gold? Such as the one outlined in Revelation 21:21? Several things happen and certain characters say certain things taking up a chunk of time during the movie. You’ll have to see the movie yourself to fill in these blanks. My next point of the movie I want to commentate on is a scene in which an apple is offered to one of the witches by another witch. The witch offering the apple claims that one bite from the apple will change everything. Sound familiar? It should, it’s one of the most well known stories from the bible! Without giving away too much of the film (because I want you to go see it for yourself) near the end, Oz and the good witch, Glinda, along with the people of Oz triumph over the evil witches. Glinda tells Oz that she knew he could do it all along and that he was more than great; he was good. Oz was selfless, despite appearing on the contrary, and helped the people of Oz become free, just as it was told in prophecy by the former King. Oz the Great and Powerful then tells the people of Oz that they need to be prepared and be strong in their faith for when the witches return; because they will return. Sounds strikingly similar to when Lucifer was cast from heaven and what we’re being told today as far as being strong in our faith to defeat evil on a daily basis! As for the acting in this movie; I’m afraid to say it wasn’t nearly as good as the CGI and the filmography. I saw the 3D version of the film, and that was certainly a nice touch that I’m glad I paid for. But James Franco just didn’t sell the part of Oz to me. From what I gather, he wasn’t the first choice for the part either. I’m not sure who I would have cast in this spot, but it definitely wouldn’t have been Franco. Unfortunately there weren’t any “stand-out” characters in this movie like there were in ‘Wizard of Oz’. Everyone knows about Dorothy, Scarecrow, Cowardly Lion, and Tin Man. There were a few characters like that in this movie, but none that play as important a role as they did in the original. The three witches: Mila Kunis (Theodora), Rachel Weisz (Evanora), and Michelle Williams (Glinda) all seemed to not only fight each other, but also for screen time in this movie. That lead to none of them really standing out, which is a shame, considering I personally had high hopes for Mila Kunis. For a prequel, this movie did an excellent job leading you right into ‘Wizard of Oz’. There could have been a couple minor things done a little differently to tie the two movies into each other, but knowing how ‘Wizard of Oz’ begins and seeing how this one ends, there isn’t too much that was left out between the two films. 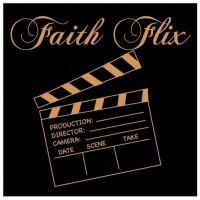 My recommendation: Go see it in theaters and splurge for the 3D! Reblogged this on Chronicles of Shue. Good review John. No one will be talking about it 74 years from now like the classic that spawned it but we kind of already knew that, didn’t we? Indeed. This one is no where near the “classic” as the original, but it was certainly a good way to spend a couple hours. And well worth the money in my opinion.